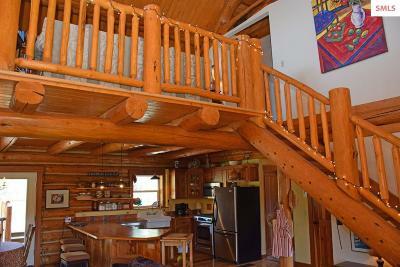 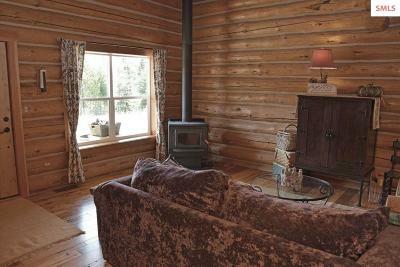 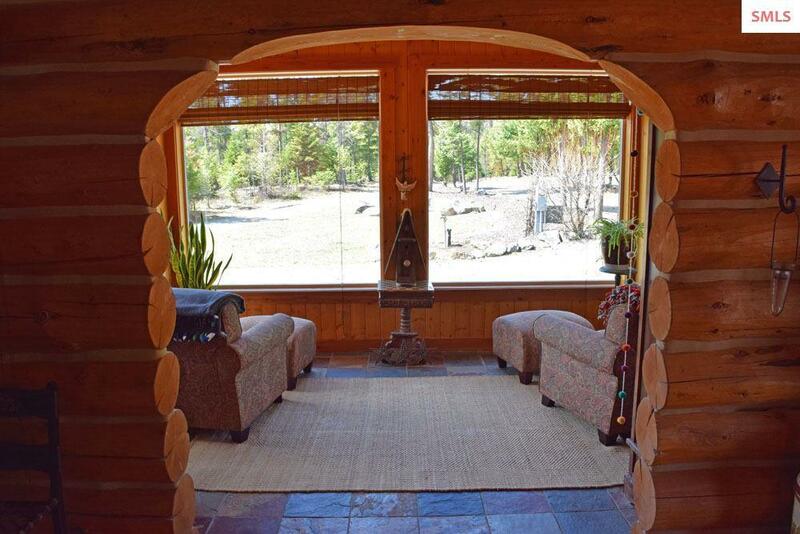 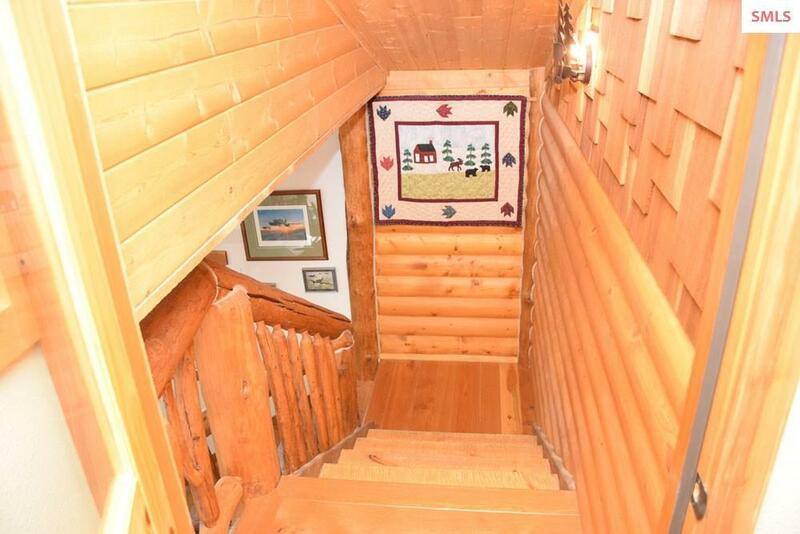 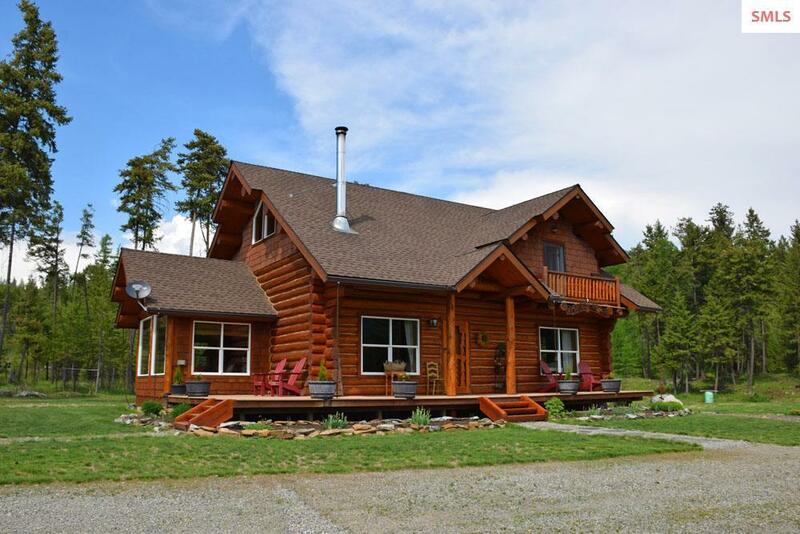 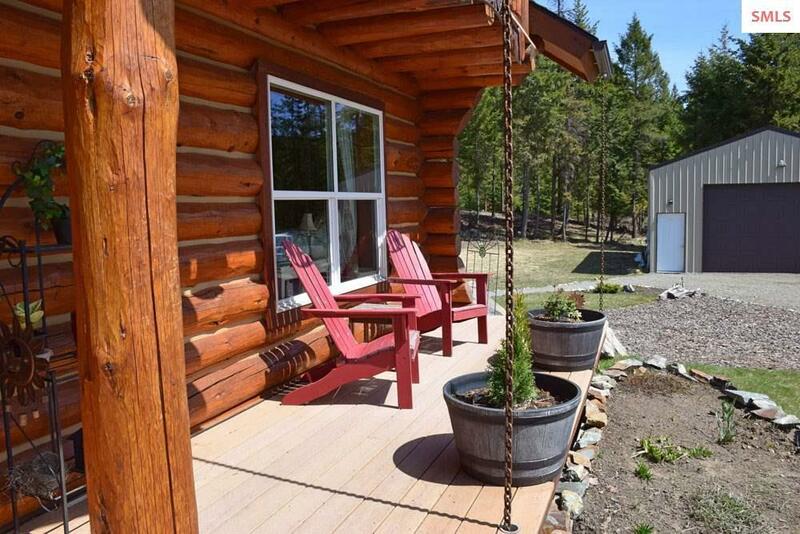 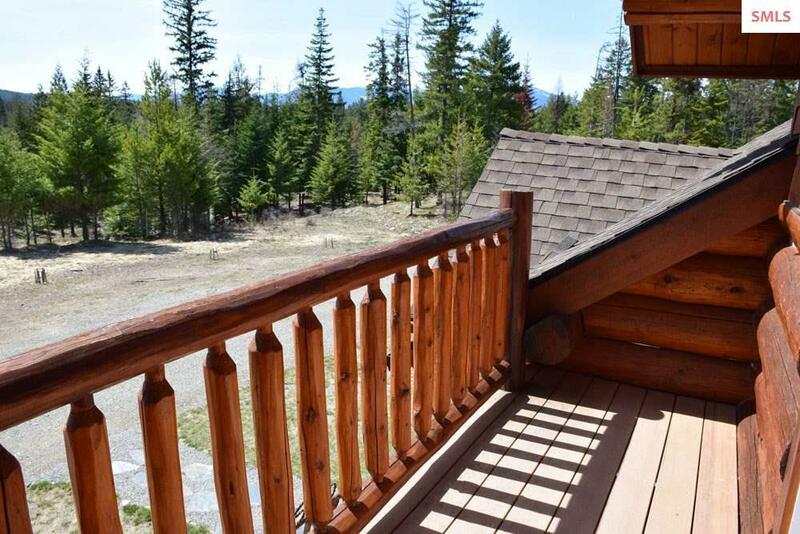 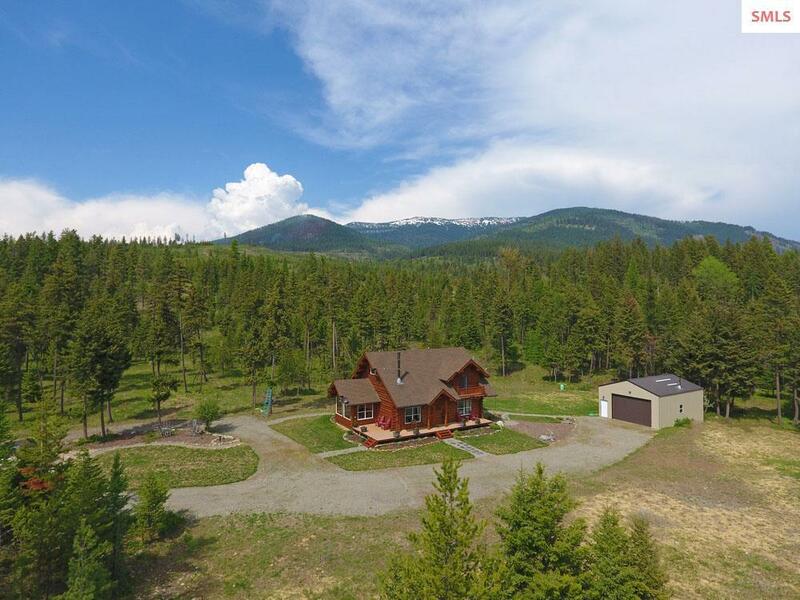 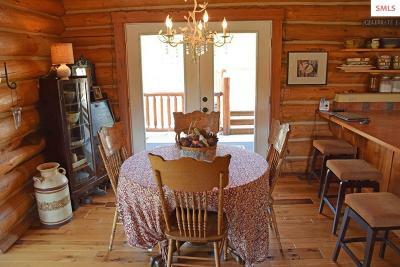 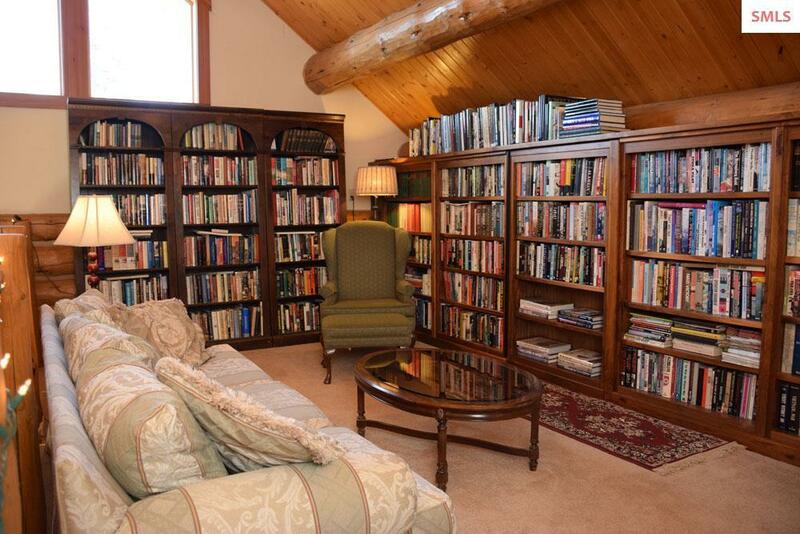 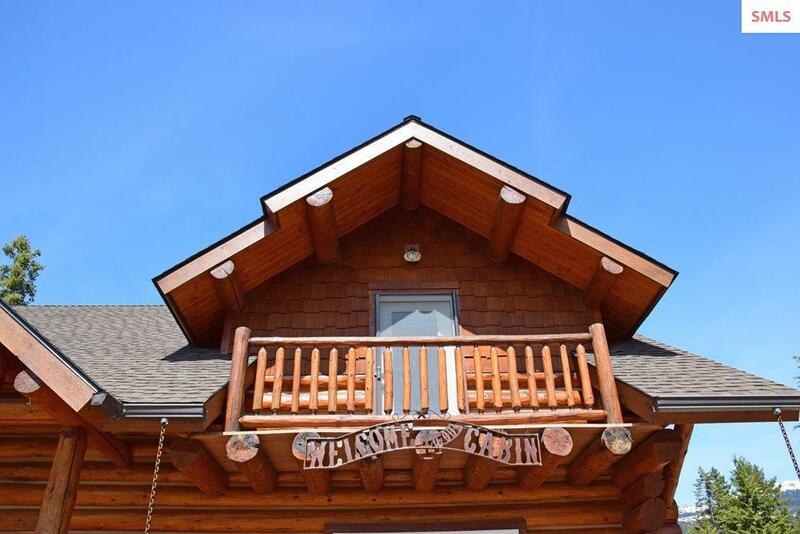 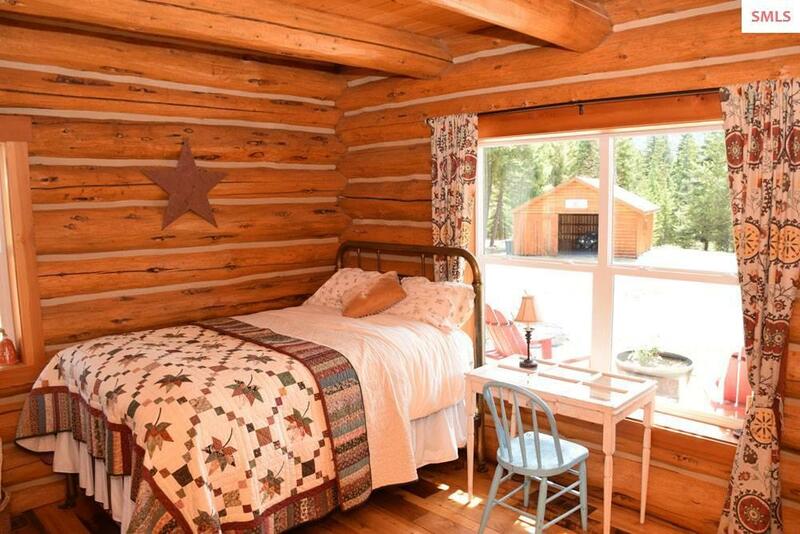 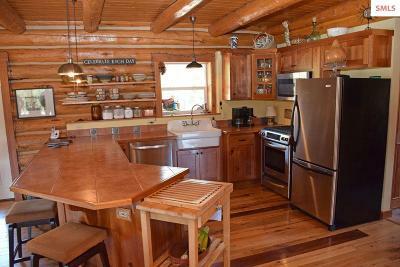 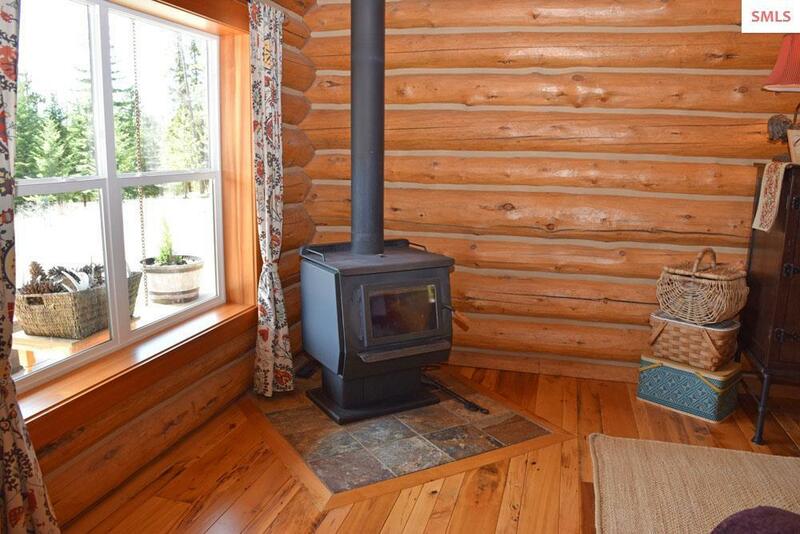 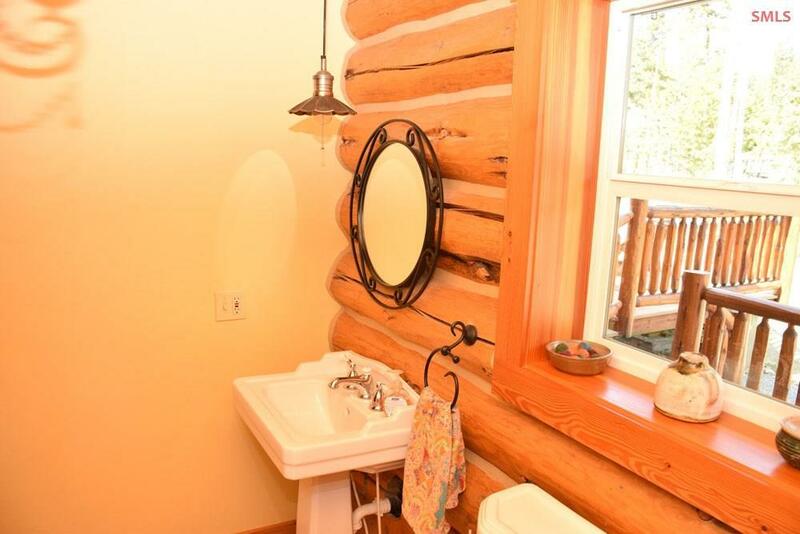 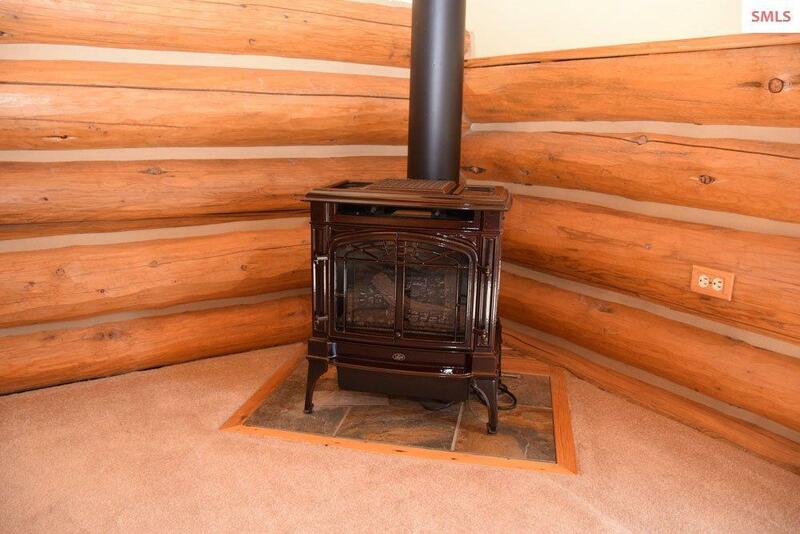 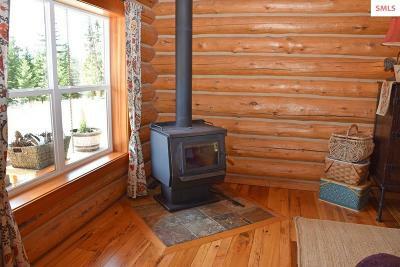 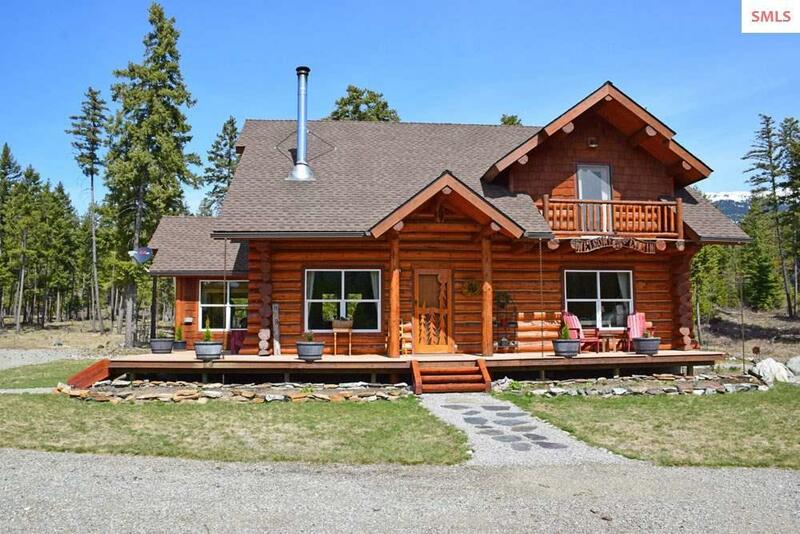 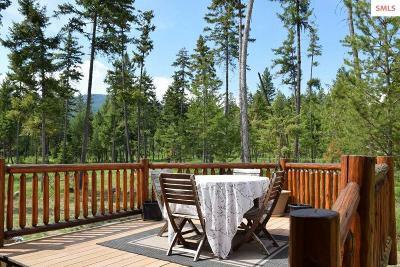 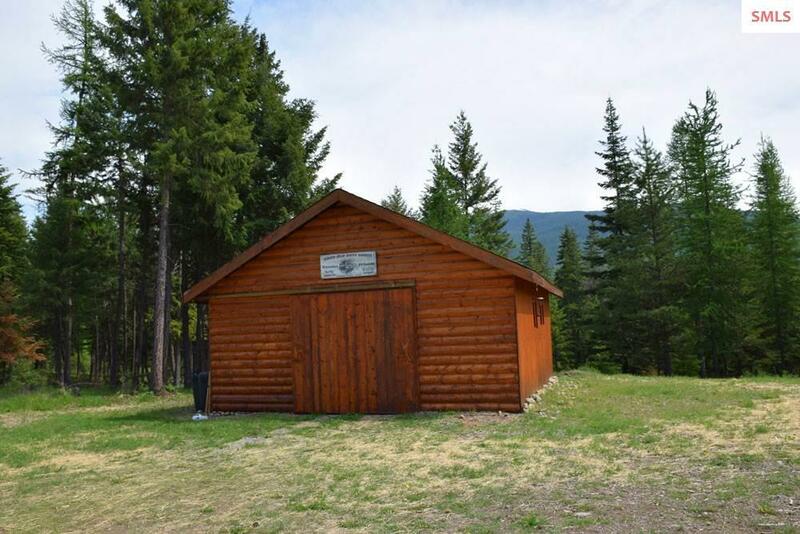 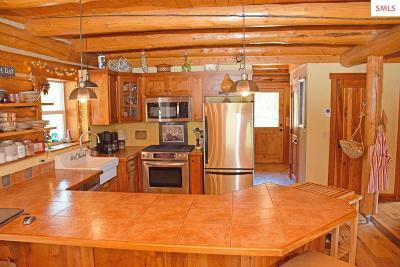 Private N. Idaho Retreat- Quality crafted 1852 sq ft 2BD 2BA log home on 58 wooded acres. 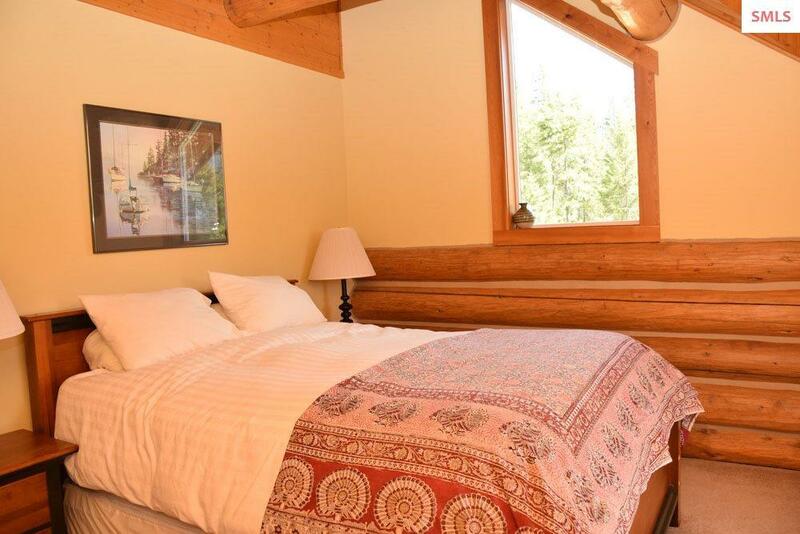 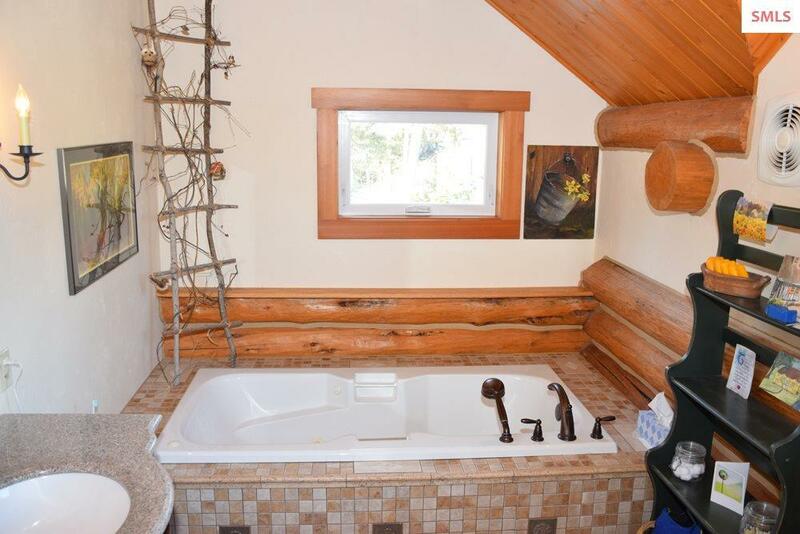 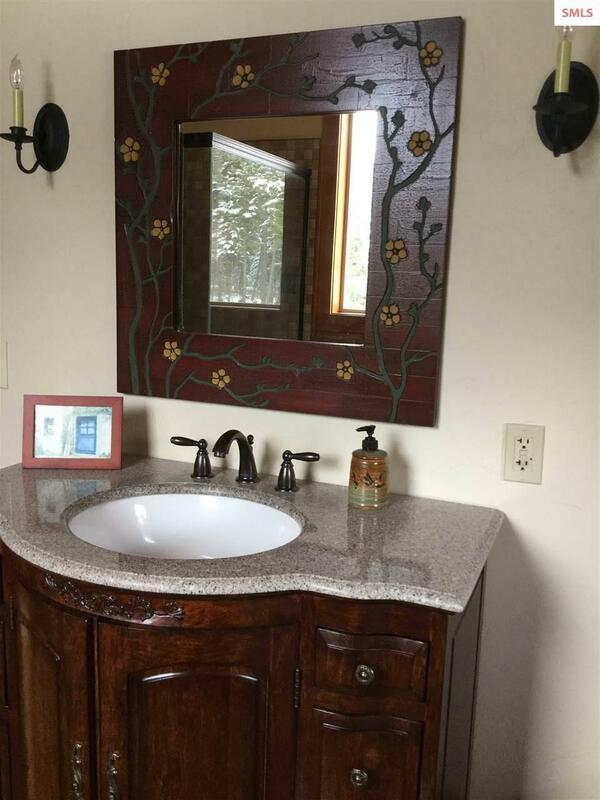 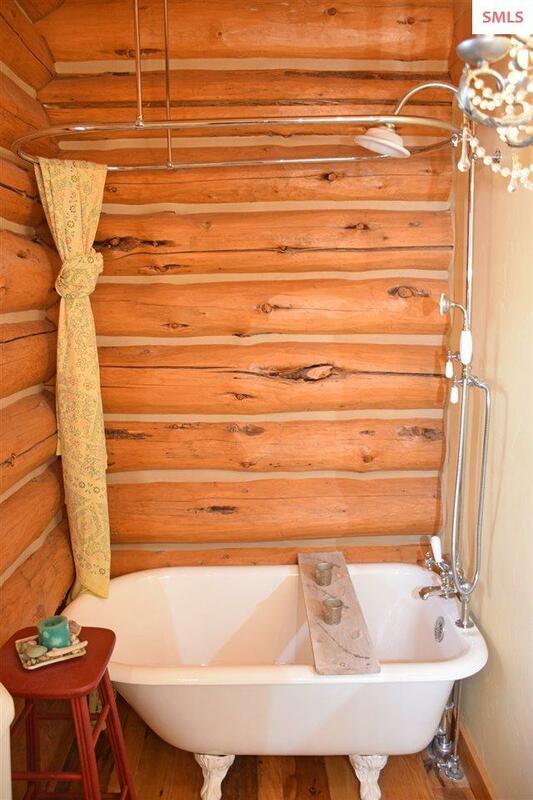 (3rd BD & BA in studio apartment) Hand crafted, chink style log home w/ attention to detail both inside & out. 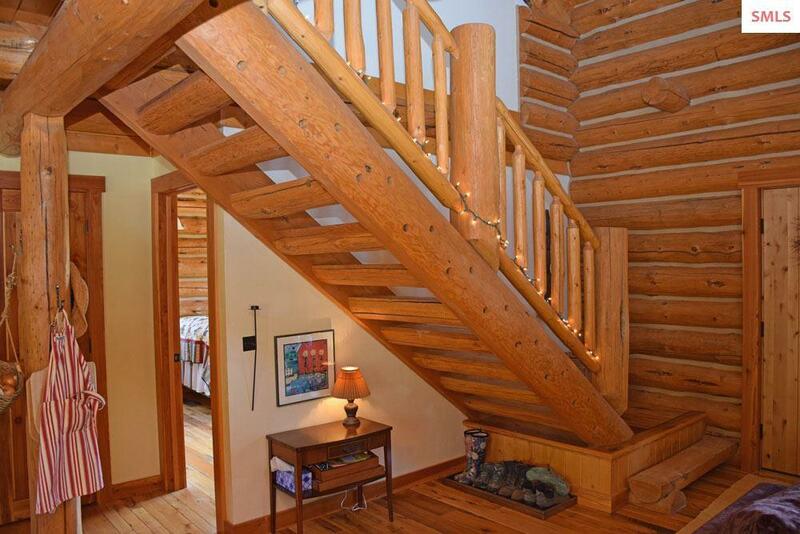 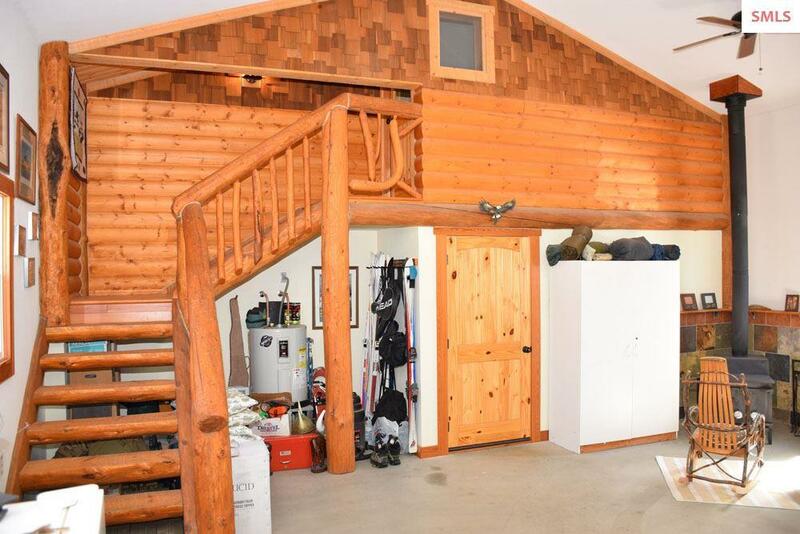 Complete w/ reclaimed hardwood flrs, vaulted T&G ceilings w/ full log ridges & purlins, log staircase & railings. 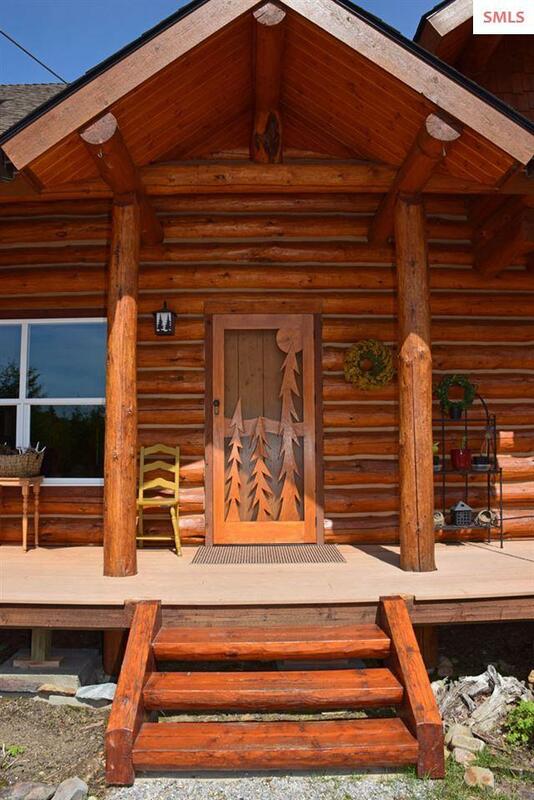 Custom wood doors. 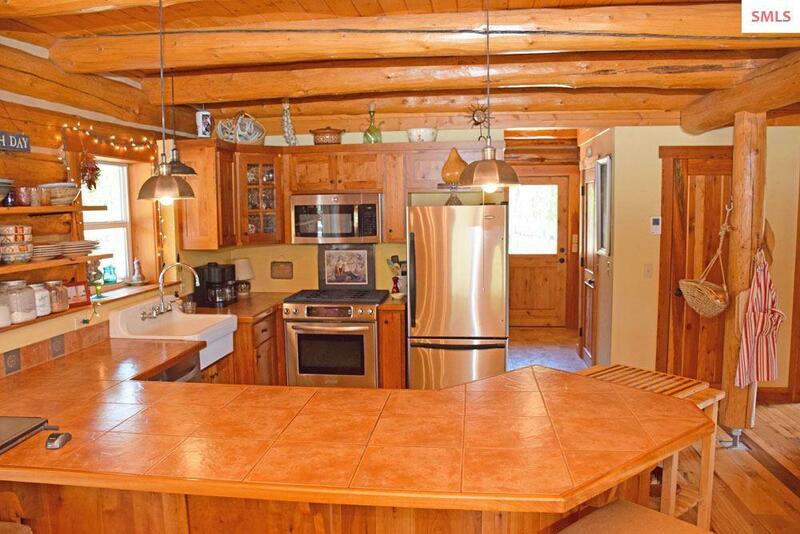 Gourmet kitchen w/ tile counters, brkfst bar & stainless steel appliances. 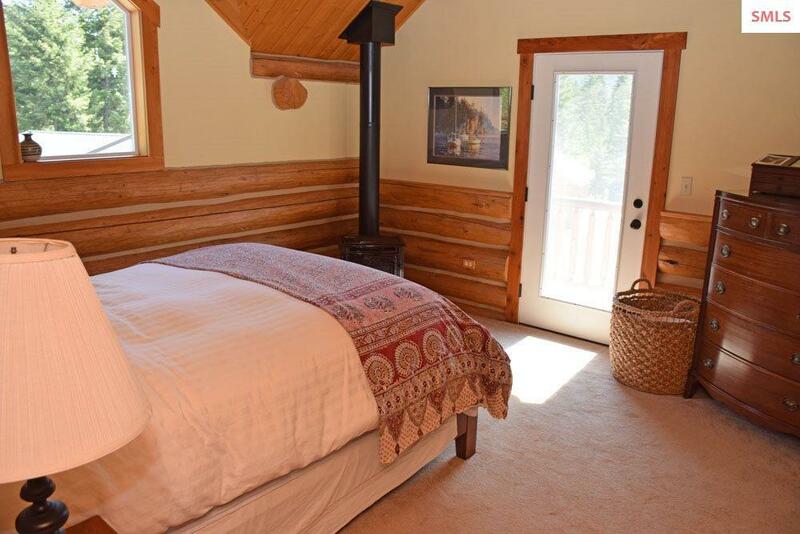 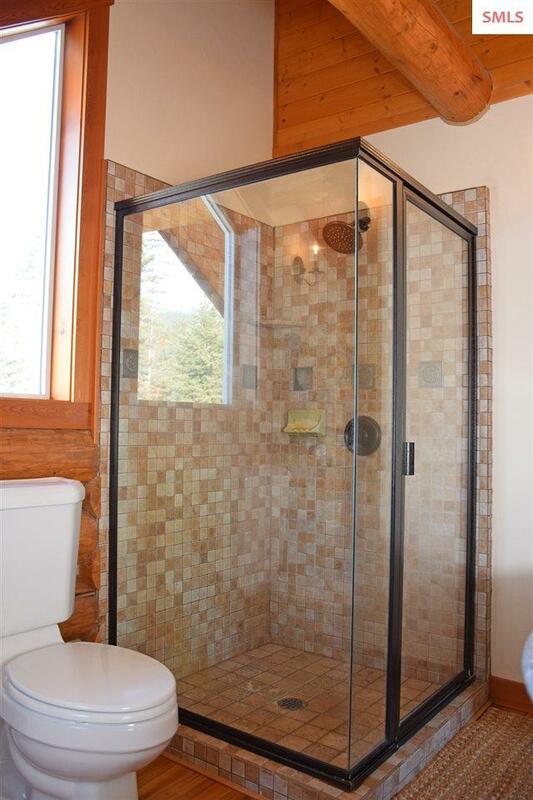 M Suite in loft w/ jetted tub, tiled walk-in shower & private sitting room/library. 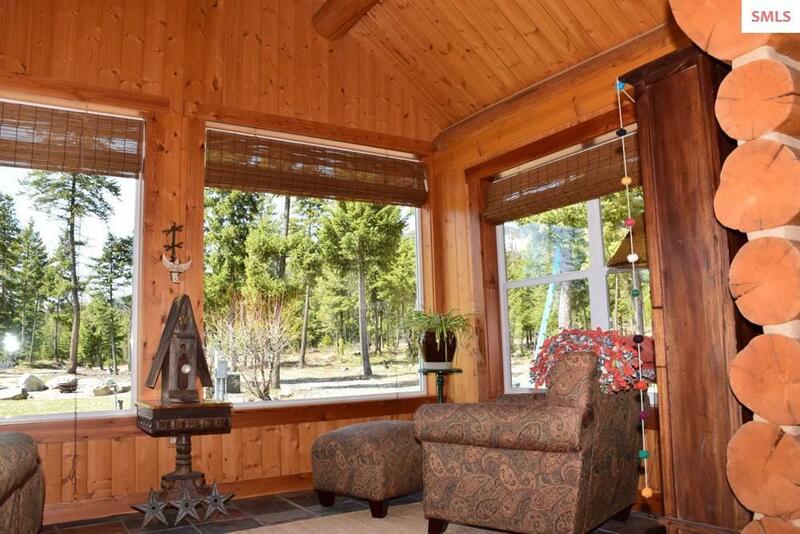 Beautiful sunroom for outdoor viewing. 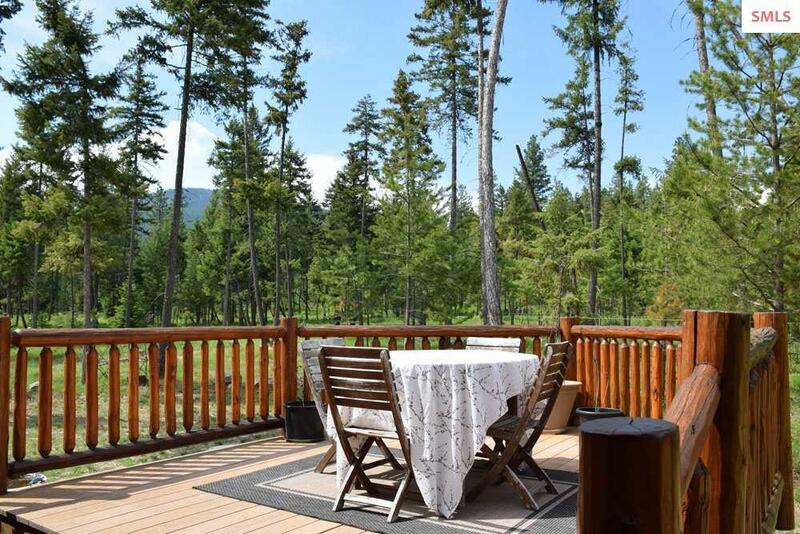 Abundant decks provide tons of outdoor living space. 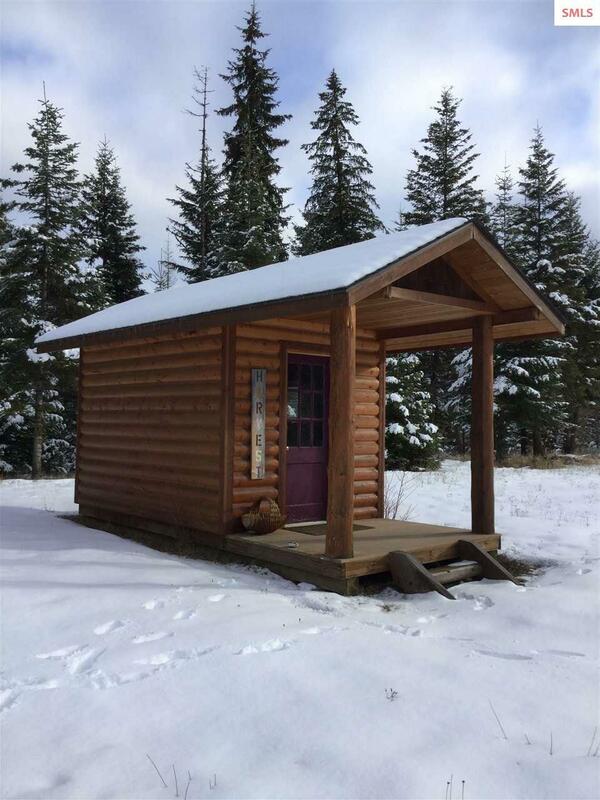 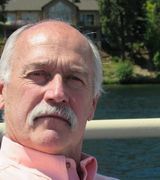 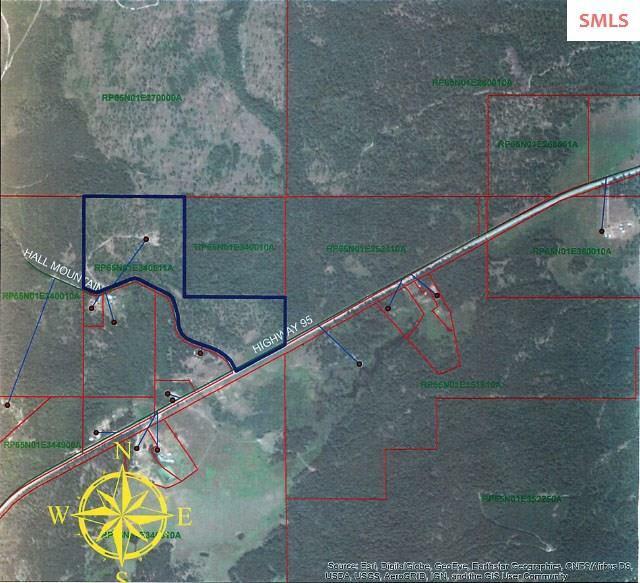 Propane FA, heat pump, AC, propane freestanding stove, freestanding wood stove, 500 Gal propane tank, 9GPM well & private septic. 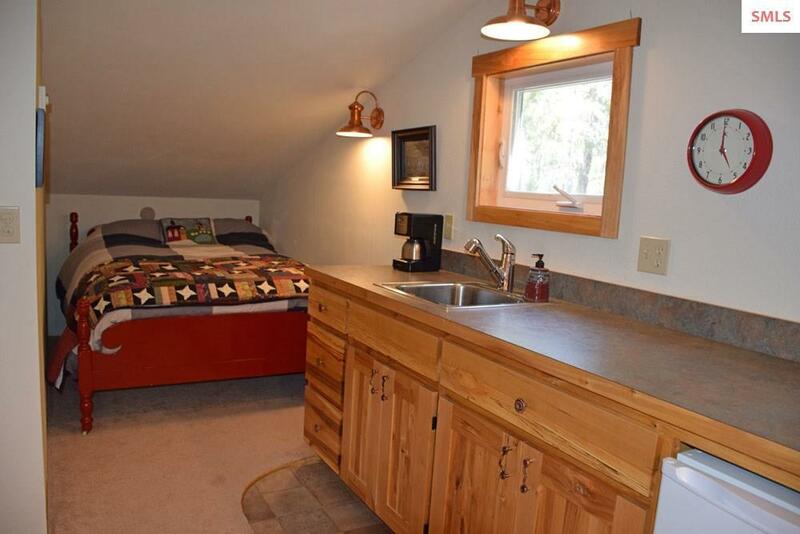 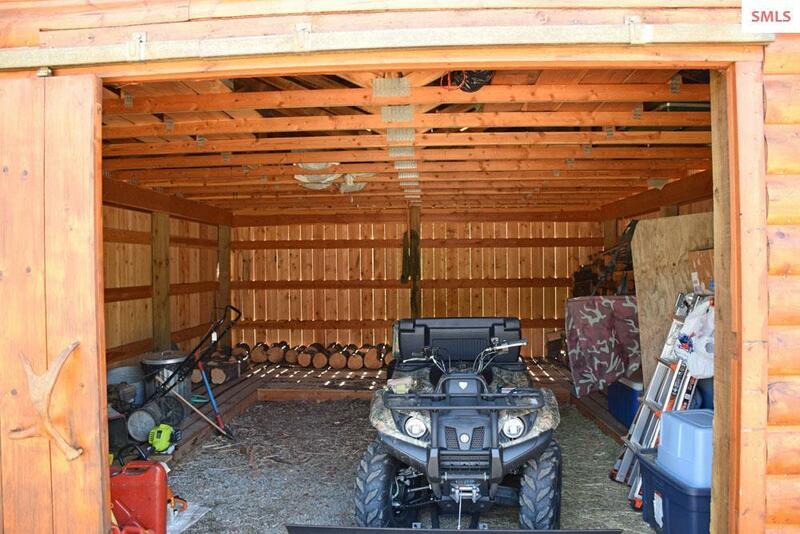 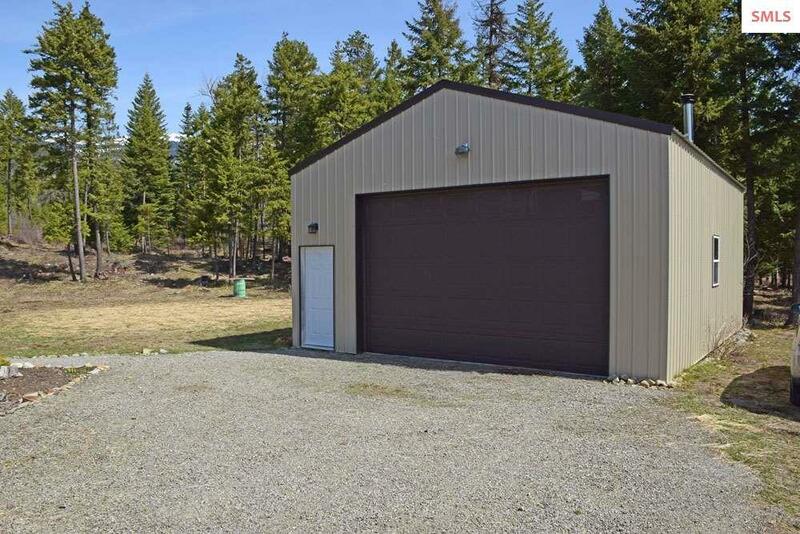 Studio apartment in finished detached shop/garage + 8x12 wood shed. 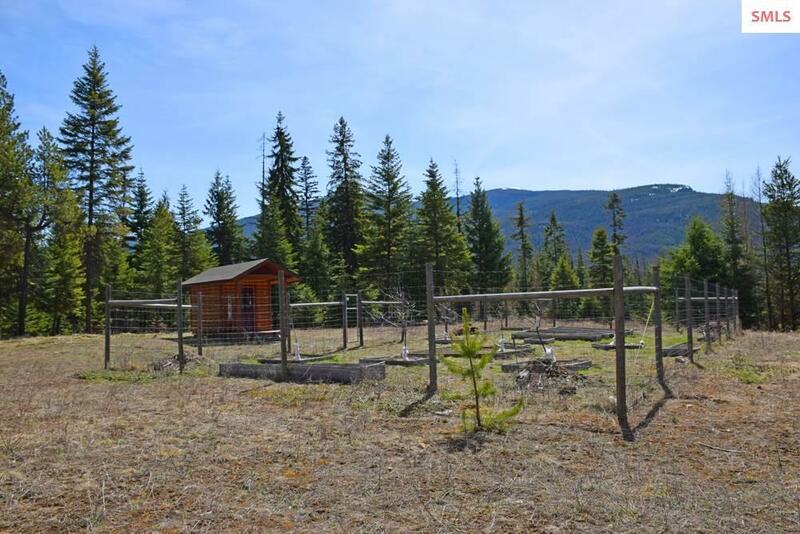 40x80 fenced garden w/raised beds & fruit trees along with an adorable garden shed. 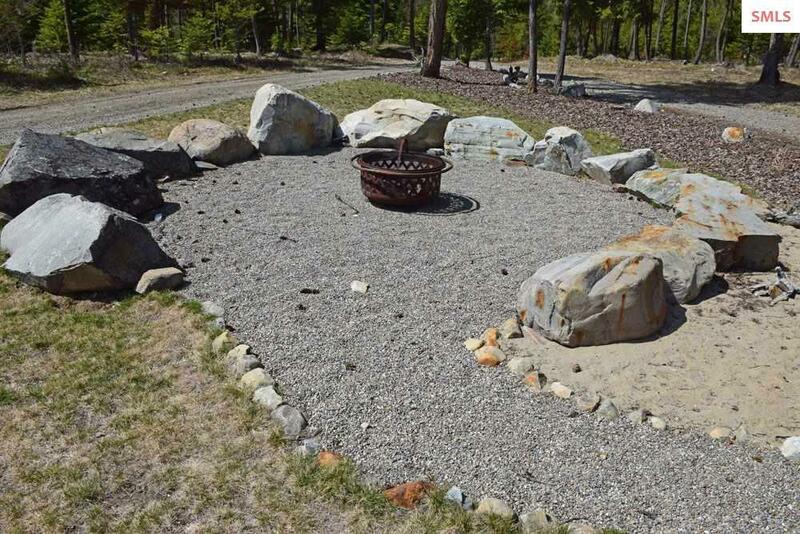 Seasonal spring and pond on site. 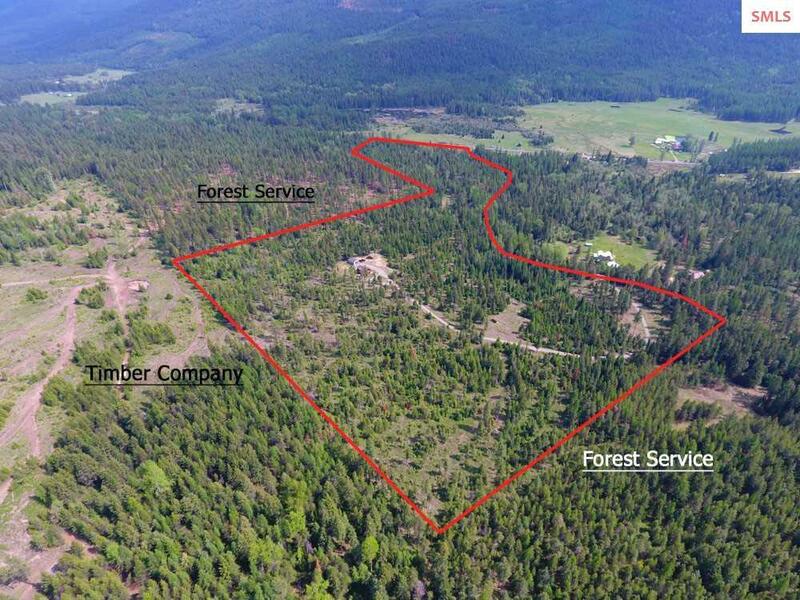 Nestled in the woods bordered by USFS with lots of wildlife! 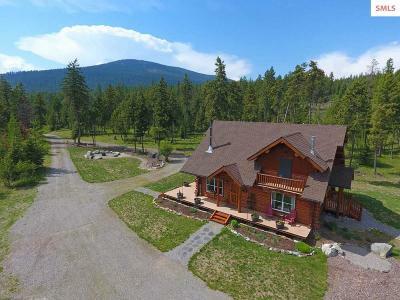 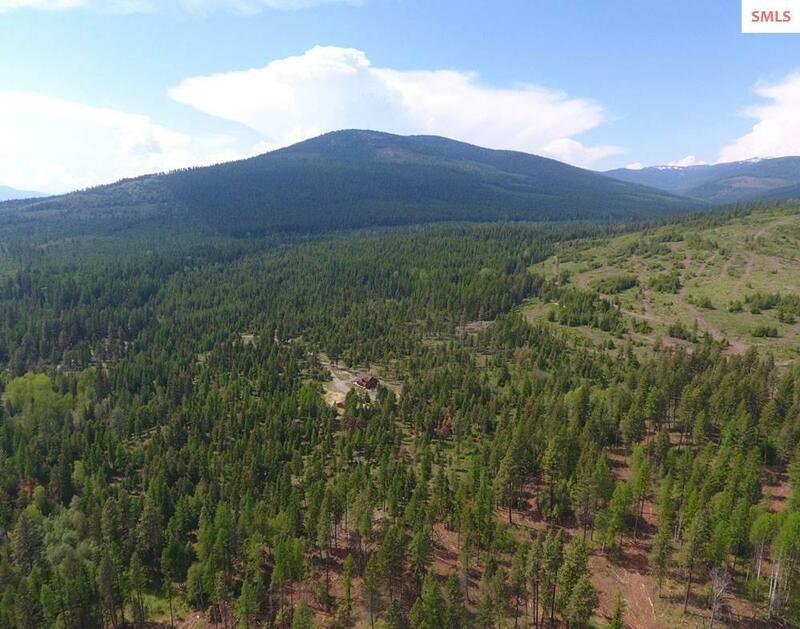 It is a true Mountain Dream Home!